On 9 May 2010, the Hong Kong registered bulk carrier Genco Carrier sailed from Panaji, India after loading a cargo of iron ore. The vessel was en-route first to Singapore for underwater hull cleaning and then to China for discharging. At about 1630 on 13 May 2010, the vessel was at sea proceeding on an easterly course for Malaca Strait. The Chief Cook left the ship’s galley and went to the after part of the vessel to dispose of food waste. While on his way to the dry provision storeroom Chief Cook met the Steward who asked him whether he required assistance. The Chief Cook then asked the Steward to help bringing the serving bowls to the mess room which was located next to the galley. The Steward then carried the bowls, about 10 to 12 pieces in a pile, and followed the Chief Cook to the galley. 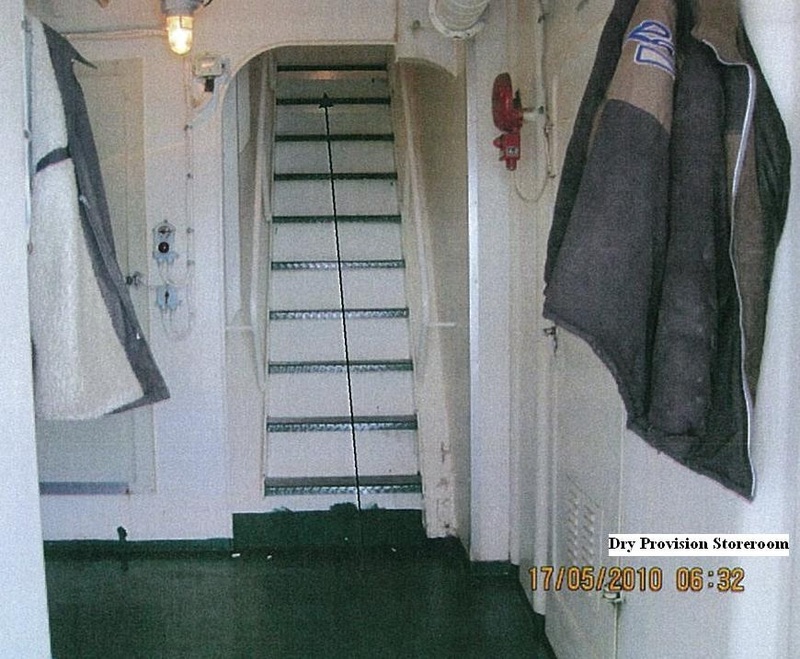 The galley and the mess rooms are on the boat deck which is one deck above the upper deck where the dry provision storeroom is located. 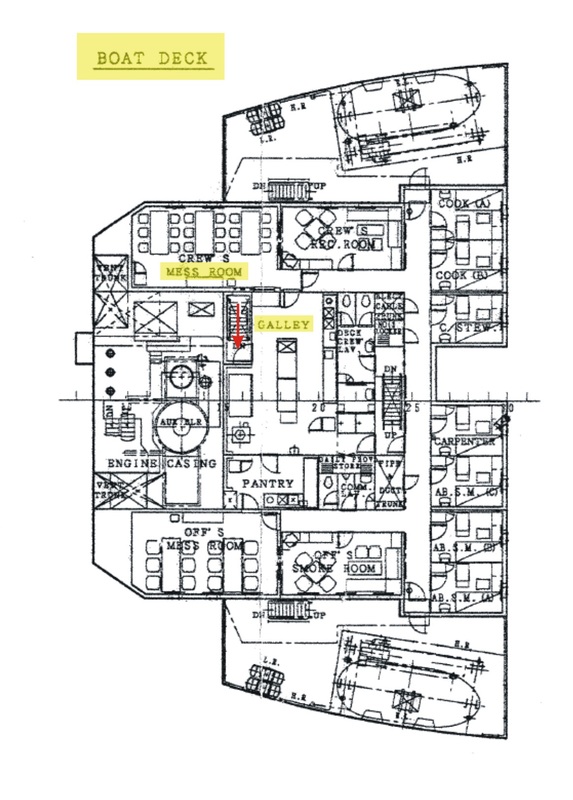 From the provision storeroom to the galley, the crew has to walk up the stairway from the area outside the storeroom to the platform at the aft entrance of the galley (see figures below). Photo above: The Stairway to Galley, from Dry Provision Storeroom. The Chief Cook walked from the area outside the entrance of the dry provision storeroom up the stairway towards the platform outside the aft entrance to the galley. The Steward followed the Chief Cook and carried the pile of bowls with both hands. 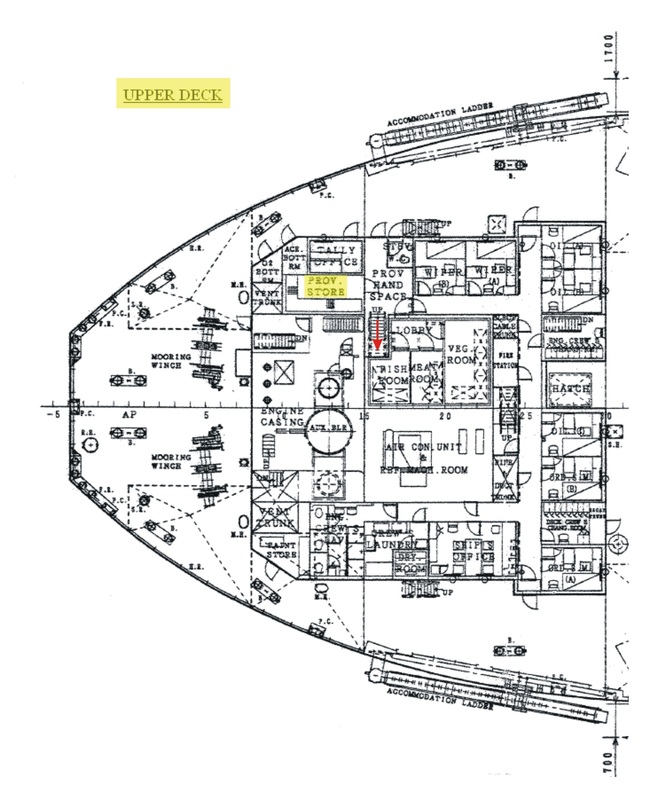 When the Chief Cook reached the upper end of the stairway, he opened the door to the galley. At the moment he stepped one foot into the galley, he felt that the ship suddenly rolled swiftly from one side to the other and he heard the Steward’s cry “Oh, my God!” at his back. Following Steward’s cry, the Chief Cook heard the sound of bowls breaking. He immediately turned around and saw the Steward lying with his back on the floor at the bottom of the stairway. The Chief Cook rushed down the stairway to the Steward. He found the Steward’s face upward with blood bleeding from his mouth and nose. The Steward’s breathing was rapid and his face was cut and injured by the broken pieces of the bowls. No other body movement of the Steward was observed by the Chief Cook. The Chief Cook immediately went up to the galley, telephoned and informed the bridge of the incident. The time was about 1650. The Chief Officer (C/O) who was the officer of the watch (OOW) received the report and immediately informed the Master of the incident. At that time the Master and the Second Officer (2/O) were also on the bridge. Having learnt about the incident, the Master, 2/O and the duty Able Seaman (AB) rushed downstairs and found that the Chief Cook had already conveyed the Steward from the upper deck to the alleyway outside the mess room on the boat deck. Immediately they conveyed the Steward to the ship’s hospital for treatment. In the ship’s hospital, the Steward was found unconscious and first aid treatment was immediately applied to him. The Steward’s pulse rate, blood pressure, breathing etc. were checked. When the Steward was found very weak, cardiopulmonary resuscitation (CPR) was also applied. On the bridge C/O tried to contact Futurecare, USA for medical advice but received no response. 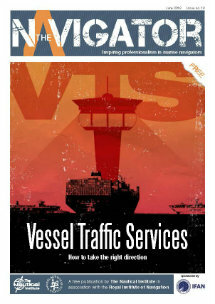 At that time, the vessel was about 240 nm from the Andaman and Nicobar Islands and 500 nm from Port Klang, Malaysia. C/O also tried to contact the Indian Coast Guard at Nicobar Islands but also received no reply. He contacted the MRCC Port Klang (Maritime Rescue Co-ordination Centre) and was told that the vessel was too far away and out of the helicopter service area. He managed to establish communication with the vessel “JIN YUN HE” via the ship’s VHF radio and obtain medical advice from the doctor aboard. Despite the application of CPR, mouth-to-mouth resuscitation and oxygen gas, the Steward showed no sign of breathing at 1855. The official date and time of his death was recorded as 13 May 2010 and 1855 respectively, and the ship’s position was 06° 06’ N 089° 45’ E.
The investigation into the incident revealed that “The Code of Safe Working Practice for Merchant Seamen” was not observed and followed by the Steward who was walking upstairs with both his hands holding a pile of bowls rendering him no free hand to grasp the handrail when he lost his balance and fell to his death as the vessel, probably being a “stiff” ship, suddenly rolled swiftly from one side to the other in the prevailing winds and swells. Ensure that particular attention is paid to the behaviour of the vessel and its effects on the safety of the crew during their daily shipboard operations when the vessel is loaded with iron ore or other high-density cargoes, which renders the vessel a “stiff” ship. The request for medical assistance should be considered transmitted first to all stations via various GMDSS DSC frequencies to enable a quick response from vessel, MRCC etc. within DSC radio frequency range.